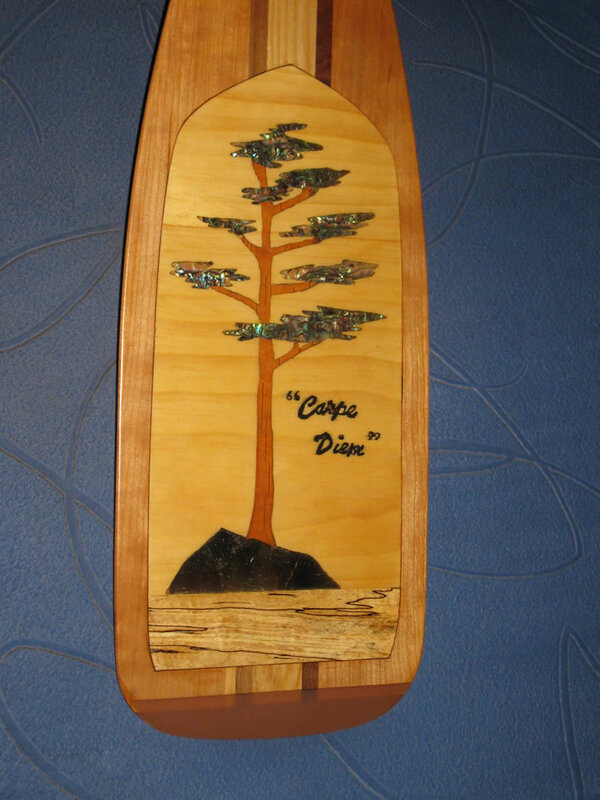 An artisan and wood worker who makes canoes, kayaks, furniture, bowls, mailboxes, and special commissions. Kirkham also runs build your own canoe workshops. 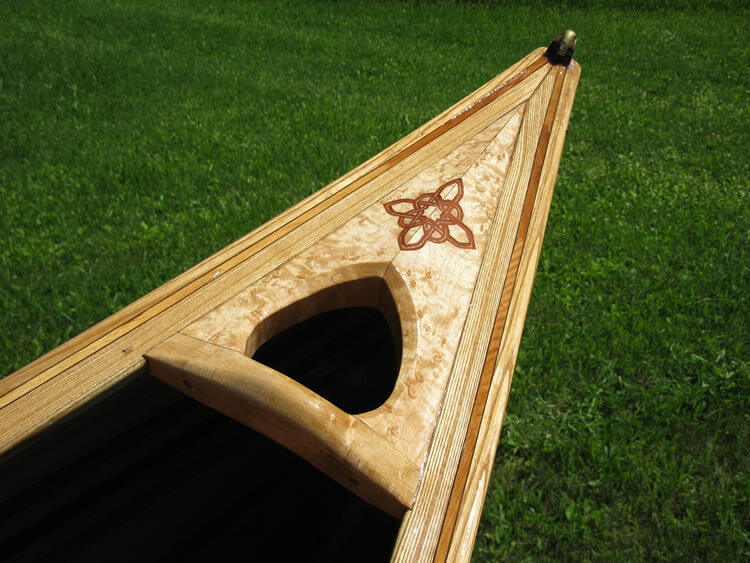 Is a canoe a work of art? It is if it’s made by Brent (aka Kirk) Kirkham. 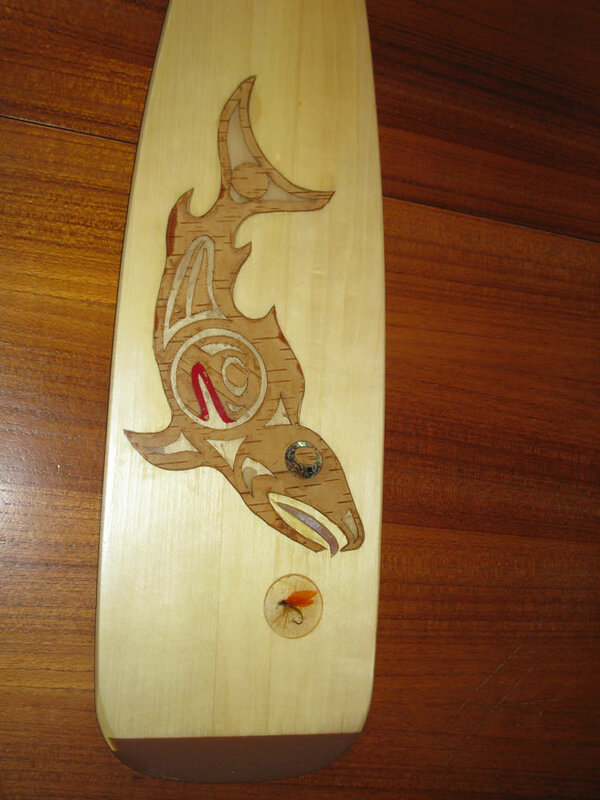 So are his kayaks and his paddles and his sculptural bowls and everything else he creates from wood. The medium is this man’s muse and the results are exceptionally well crafted. Cedar strip canoes and kayaks are his specialty. They are so good looking that it sometimes costs him sales; people don’t want to risk damaging them by putting them in the water. Don’t let that deter you. Brent builds them to be in the water, using top quality materials to provide strength as well as beauty. 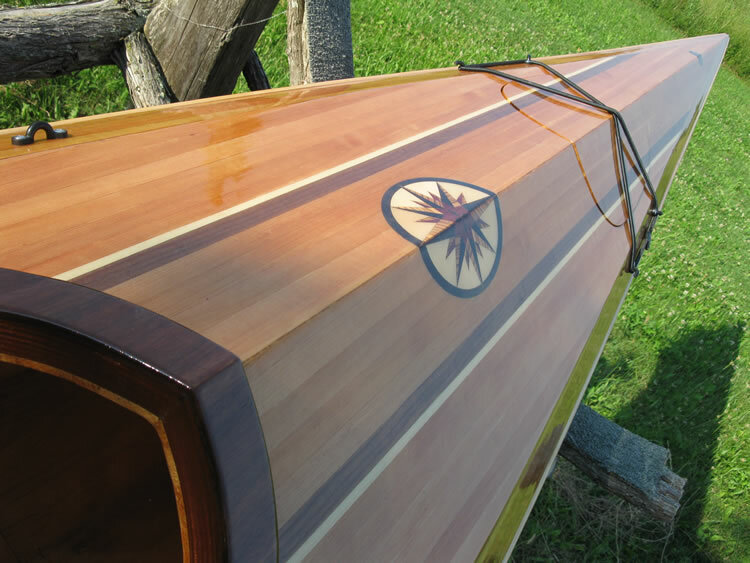 He has verified that the bottoms of his boats can support up to two tons of weight, and he uses only the best epoxy and spar varnish systems to ensure a long-lasting and UV-resistant finish. Kirkham’s finely wrought inlays indisputably are works of art. Almost all of his boats are designed on commission. 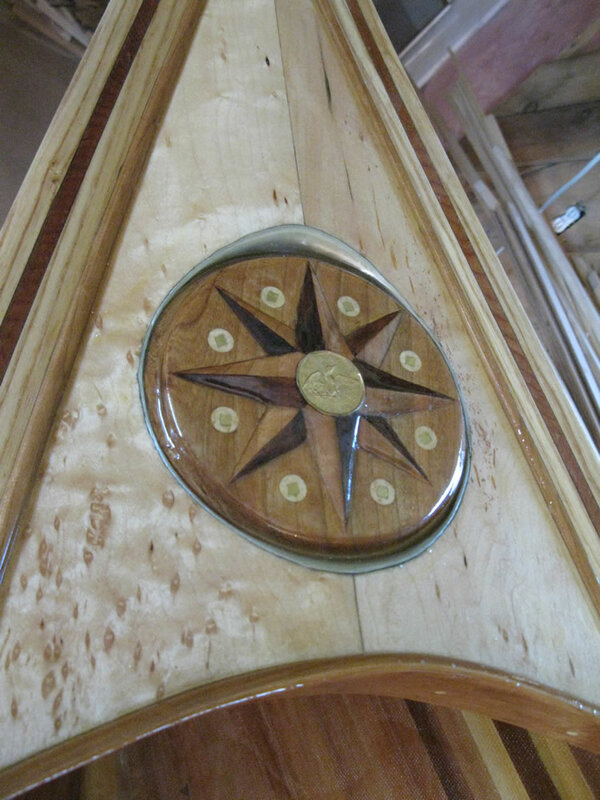 One of his greatest joys is working closely with his clients to create personalized decorations and logos to enhance their enjoyment every time they look at their unique boats. 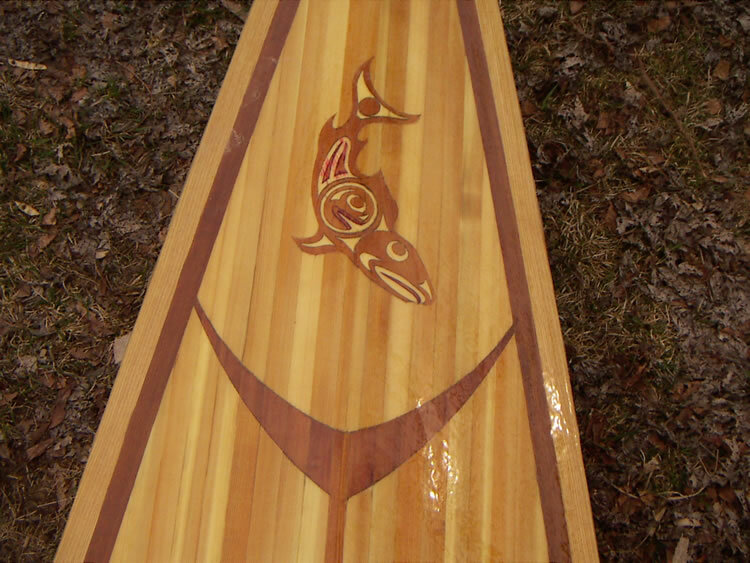 He creates his own Haida-inspired designs, Celtic-like ornamentation, family logos, and my favourite, a stylized heron-like bird on a paddle that makes me laugh every time I look at its picture. The wonderful woods he uses, like spalted maple, cherry and exotic purpleheart, provide the colours and textures for the palette of his wooden canvases. Like so many creative artists, Brent experiments with materials, and recently developed a way to incorporate birch bark appliqués as a striking decorative feature in his ca-noes and other wooden objects. 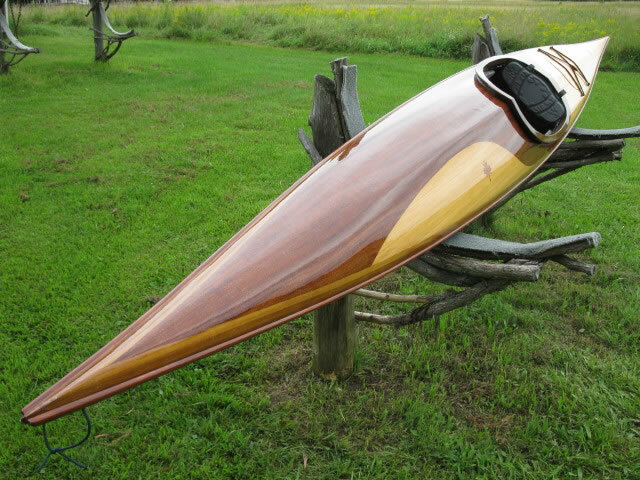 Starting with rough-sawn BC red cedar, Kirkham builds each boat from start to finish by himself, giving him full control over quality. 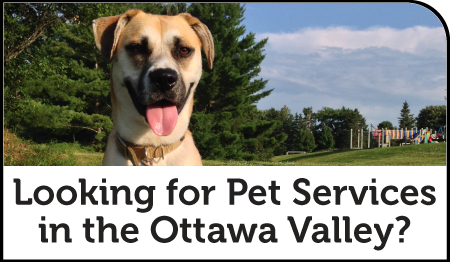 He cites his dedication to customer satisfaction as another key to his successful career. His advice to any artist just launching their career is: “It may take a while.” After thirteen years, Kirkham describes each sale as “sending out a billboard (his boat) with salespeople attached.” He credits spontaneous word-of-mouth marketing by his clients for the fact that he has trouble keeping up with demand. 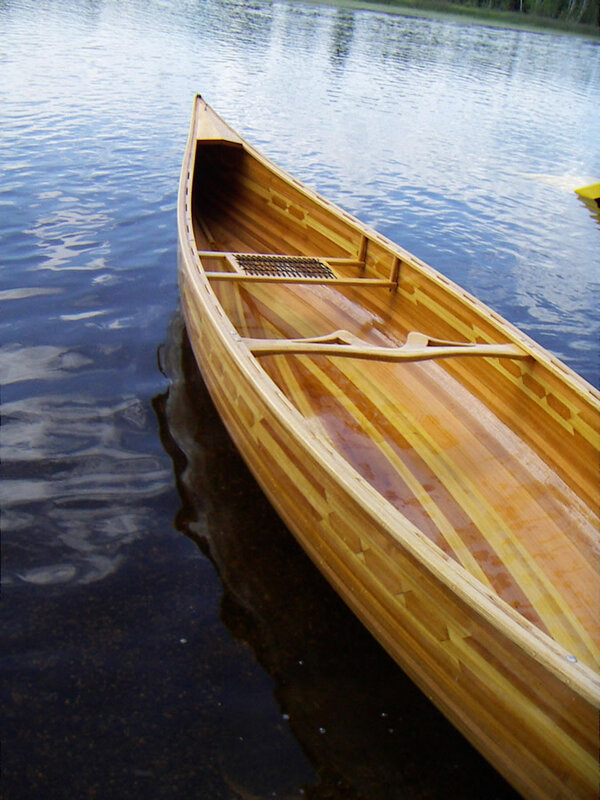 At his home on the family farm near Perth, Kirkham also shares his expertise through courses, teaching others the skills they will need to build their own cedar strip boats. The classes cover everything from wood selection, mold making and steam bending to final assembly and finishing. Experience really counts, and learn-ing from a pro is by far the best way to avoid time-consuming and expensive mistakes. In his three-day hands-on course, you develop your technique on a birdhouse project. His new five-day course “involves building a 4-foot mini canoe that not only gives you insight into the process of building a full-size boat, but also leaves you with a beautiful piece of art to display in your cottage or home.” Kirkham also refurbishes canvas canoes, providing another twenty years of use. 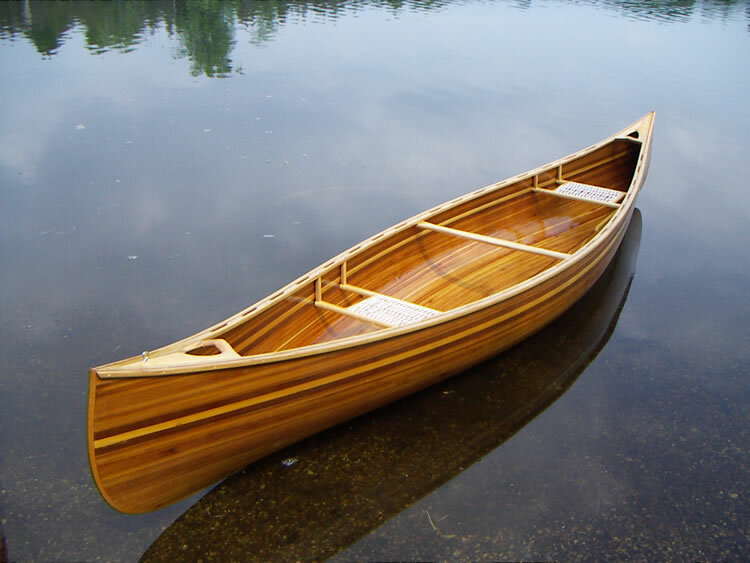 He recently repaired a 1921 Carleton canoe for an owner in Rochester, NY. Kirkham is living an interesting life. Like his home province, he is best known for two things: rocks and trees. Let me tell you about the trees first, since that’s the re-current theme throughout his diversified career. Kirkham was born and raised in Perth. As a kid he learned carpentry working side by side with his dad, who owned a construction business. Brent earned his carpentry license with over 7,000 hours of experience. At seventeen he fulfilled his childhood dreams of adventure. Inspired by his aunt’s bedtime stories of her travels for External Affairs, he backpacked through Europe and North Africa. When he returned home, he sampled a course at Algonquin in film production, studied journal-ism at Carleton University for a year and then tried fine arts at Ottawa University. Still searching, he returned to Algonquin for courses in interior design and found what he was looking for — art combined with construction. In his twenties he went to Calgary and spent ten years designing and building retail and restaurant space and running his own construction company. The premature and unexpected death of his father brought Brent back to Perth and the family farm. Over three years he designed and built his current home — a successful combination of aesthetics and practical efficiency. He built the structure completely by himself except for the foundation and some help with the plumbing and electrics. He cut every board in his dad’s shop across the street, where he still spends a month a year cutting and finishing the cedar strips for his canoes and kayaks. He also returned to his favourite sport of curling. In 2001, he drew national attention when, as skip, he “went from ‘Brent who?’ to the guy who almost pulled the up-set of the Ontario men’s curling championship” in the ninth by defeating the reigning 1999 champion of the World Curling Tour, Wayne Middaugh. In total he com-peted in 27 provincial finals. After a course at Guelph University, Kirkham became a Level 3 Ice Maker, and worked for Perth for eight years, then in Woodstock, and finally for the Ottawa Curling Club. 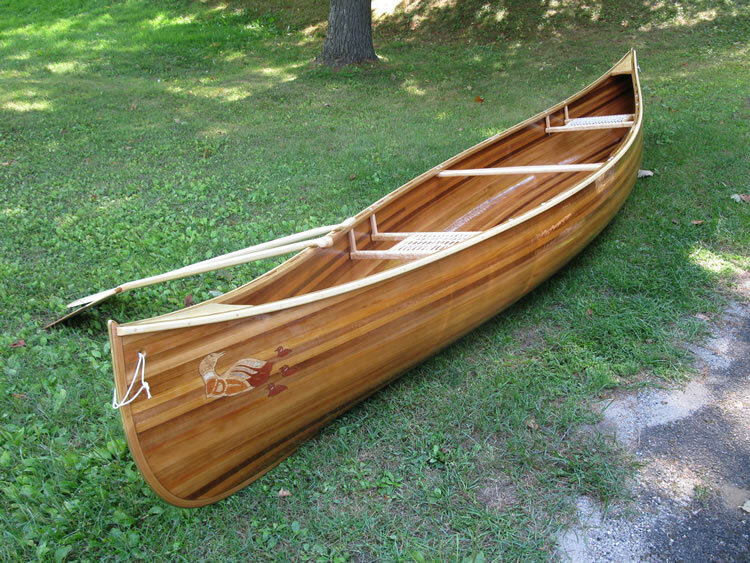 After he met his wife, now Cathy Kirkham, who is well-known by everyone who stops in at Foodsmiths, he decided to build his own cedar strip canoe. Someone stopped at the house and asked if it was for sale. Since then, they are. 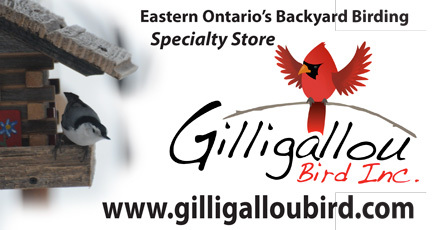 Over time he has branched out, creating smaller wooden objects (bowls, spoons, mailboxes, furniture, stringers of wooden fish…) that he brings along to studio tours and displays at his shop/home/gallery at Kirk’s Kanoes, 2486 Christie Lake Road in Perth. 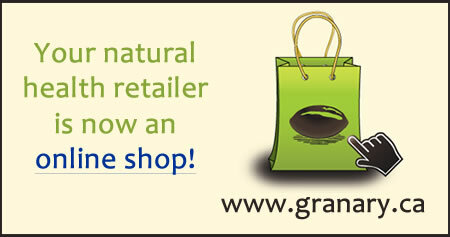 It’s easy to spot his shop; look for the blue canoe and the canoe-shaped mailbox. 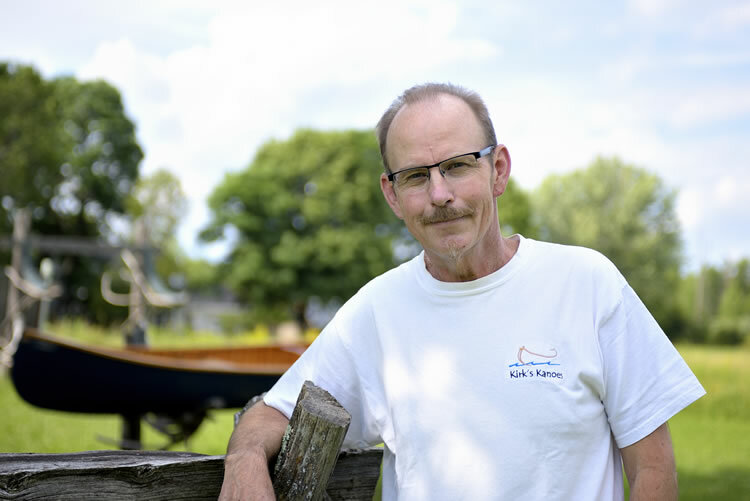 Brent Kirkham has become a fixture in the area’s arts scene, serving on the board of the Perth Autumn Studio Tour and as one of the organizers of the 2015 (9th) edition of the Sundance Artisan Show, Labour Day Weekend, September 5–7, behind the Fall River Restaurant in Maberly at 21980 Hwy 7. Normally Brent would be participating in both shows, but this year he has been forced to take a health “sabbatical.” He has always thought of himself as a lucky guy, and it was certainly lucky that a few months ago he noticed a lump along his jaw line. After seven weeks of debilitating treatment, and a very hopeful outcome, he is positive he will be back on the studio tour circuit next year. 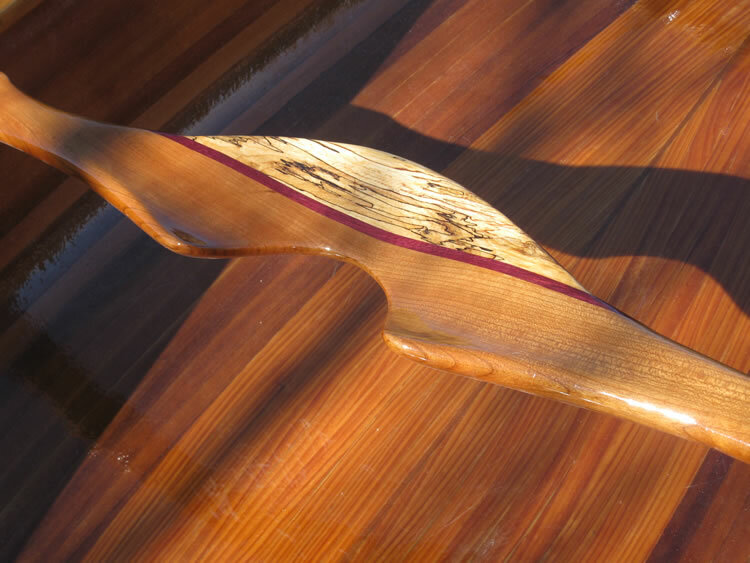 In the meantime, enjoy his beautiful wood works on his website and see why his boats deserve the label of “Art on the Water”. 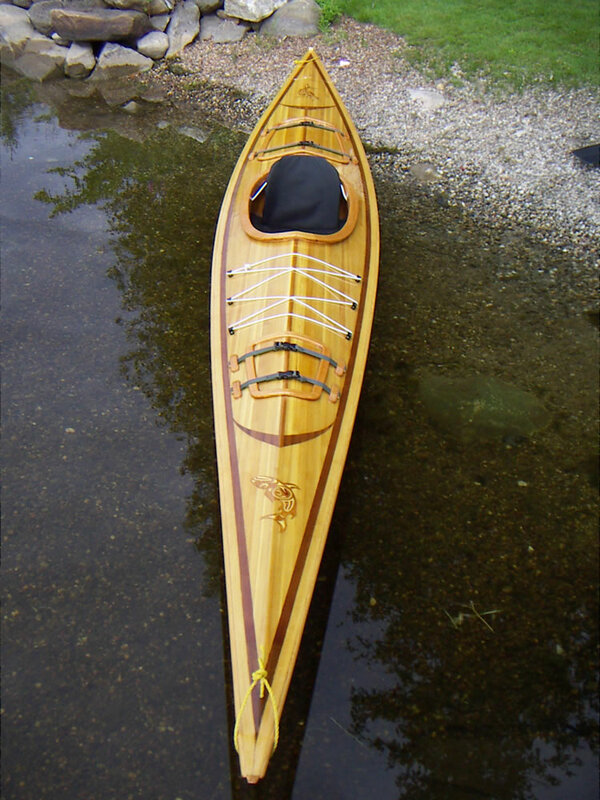 Contact him to enquire about a commission or a class - both are guaranteed to change the way you look at canoes and kayaks forever. For full contact details, visit theHumm's Local Directory.